8th Circuit Court of Appeals Grants Win for Consumers in Case Where Injured Party Represented by McMath Woods’ Attorneys - McMath Woods P.A. Published on May 11, 2012 at 2:33 pm in Uncategorized. All purchasers of property and life insurance in Arkansas were protected by an 8th Circuit opinion this morning. Will Bond, Neil Chamberlin and Ross Noland represented a plaintiff in his insurance claim for dismemberment benefits. The insurance company denied the claim and suit was filed. The insurance company moved for judgment on the pleadings citing the statute of limitations. The insurance company argued that the plaintiff’s lawsuit for dismemberment benefits was untimely filed because it was brought more than 3 years after the loss, which was outside the policy’s time limitations for bringing legal actions. The plaintiff argued that A.C.A. 23-79-202(b) voids any policy language attempting to shorten the statute of limitations period of five years as prescribed by statute for property and life insurance. The trial court granted the insurance company judgment on the pleadings. The 8th Circuit in a well written opinion reversed and remanded the trial court. 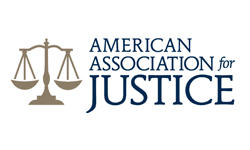 The 8th Circuit determined that any policy provision in a property or life insurance policy shortening the statute of limitations is void pursuant to A.C.A. 23-79-202(b). The 8th Circuit determined that purchasers of property and life insurance in Arkansas shall have the full five years to bring an action.